Karate shown on TV and on the big screen often glorifies the fight, and downplays the martial art part. However, there’s a karate instructor in Idyllwild who teaches “whole body karate.” In his classes, students learn to reach their goals and even walk away from fights. 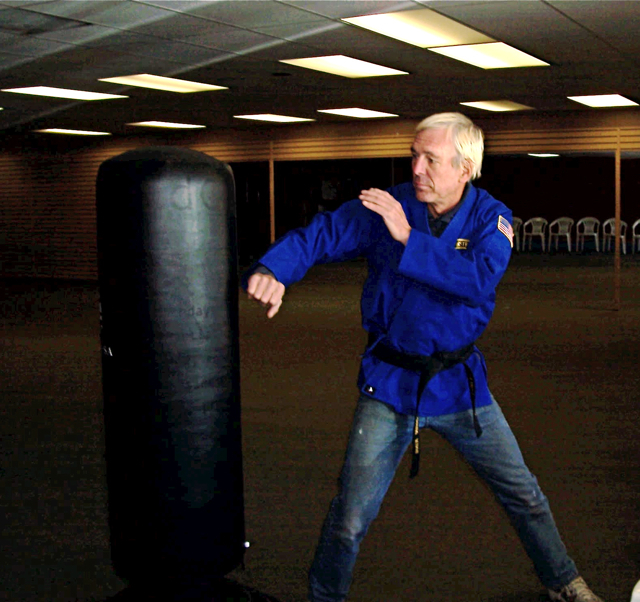 At age 50, John King earned a black belt in Kung Fu San Soo, and continues to study with Master Steven Gregoire. 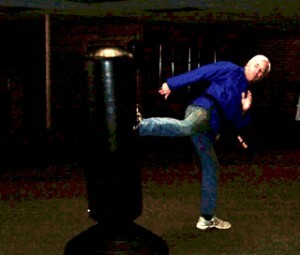 John started learning karate years ago with his family, but keeps it up to stay in shape. 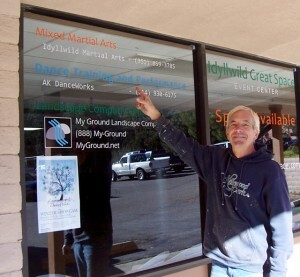 For the past eight years, he’s taught beginning and intermediate karate to youngsters and adults in Idyllwild. In his classes, students get some exercise, but also learn discipline, self respect and more about martial arts. In short, it’s not a class for wimpy kids who want to get back at schoolyard bullies. John's classes had to move out of Strawberry Creek to make room for the library. “I talk to these kids about how to walk away from fights, if they can,” John said. He too, was bullied as a child. John also talks to his students about their goals, namely the ones they want to reach within five years. Some the goals they’ve mentioned to him include: getting better in math, learning how to ride a skateboard, and earning a black belt in karate. However, the black best test takes about three hours, and it can be exhausting, he said, like running a marathon. He’s run marathons too, including the Long Beach and Las Alamitas Marathons. During the day, John paints houses, and on Friday nights, he sings and plays fiddle for Change Required at the Lumber Mill. But his great love is teaching. At first, his middle-aged and older adult students were apprehensive about learning karate. John’s classes are affordable and are now held at the Spiritual Living Center in Idyllwild. (After 1 1/2 years, he moved from the large studio next to Curves to make room for the Idyllwild Library). The sign-up fee is $40, which includes a uniform. The monthly cost is $65, which averages to about $8 per class, he said. He’s also willing to work with families with financial hardships. To sign up, call John at (951) 659-3785 or email him at ChangeRequired@gmail.com. Cpyright 2010 Idyllwild Me. All rights reserved.